I love history... and like my Dad, I'm especially fascinated by the Civil War. I was invited by a coworker to check out Oaklands, where his Civil War reenactment group was doing a "living history" day. 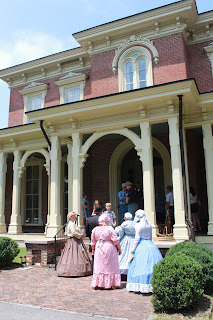 If you like historic homes, and you're in the Nashville area, you have to check out Oaklands Historic House Museum. It is simply one of the best house tours I've done, because it is a unique home (you can see the inner structure and how it evolved over time) and has so many pieces original to the Maney family that lived there. I didn't get to see the whole house, because it was a special 30-minute tour (normal tours are just $10 and last an entire hour), so I may come back again if Dad wants to go. 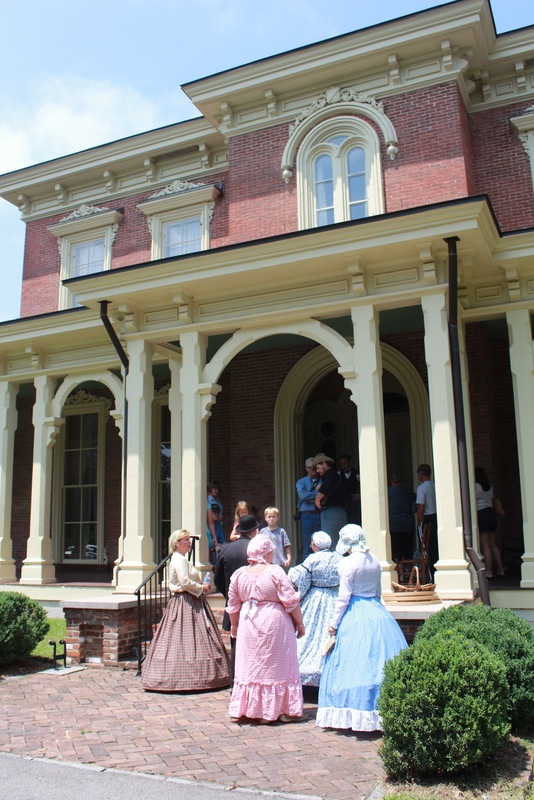 The Battle of Murfreesboro/Stones River battlefield is also nearby, so they'd be a great combo to see in one day!